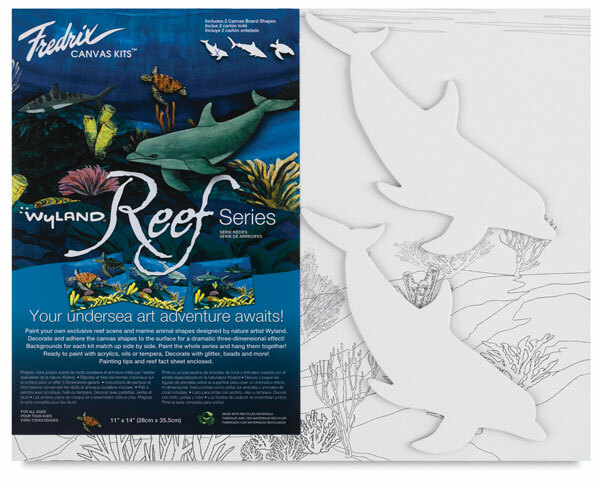 In collaboration with Fredrix Artist Canvas, world-renowned marine artist and conservationist Wyland has created these deluxe canvas kits featuring a series of marine animals. The kits also inspire creativity and assure that a child's or adult's first artistic venture be a positive experience. ® Wyland is a registered trademark.® Tara is a registered trademark.